As I write this there are only a few hours left in the year. It has been a great year! 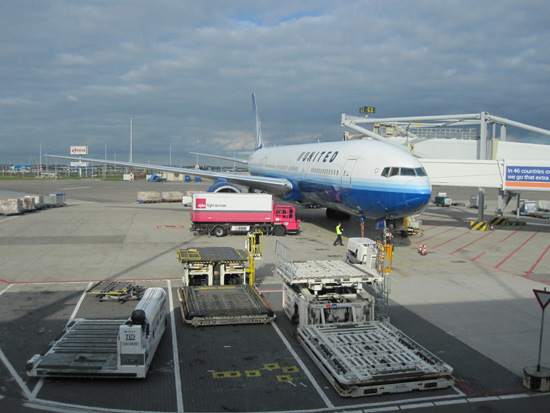 We did a lot of fun things around the Chicago area and traveled to Holland in August to visit my family. Here are some pictures of our year, mostly for myself because I love looking back at these year-in-review posts of previous years, and it’s nice to go through our pictures again. Happy new year to everyone! 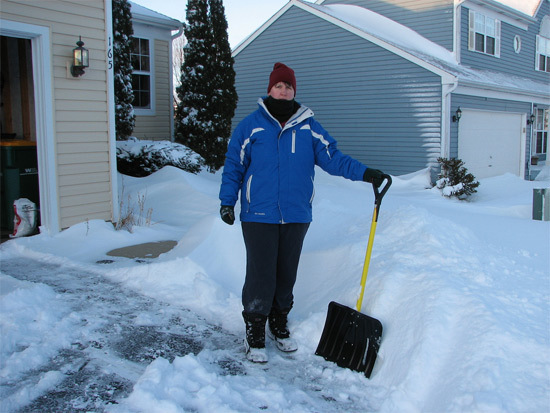 10 February: We had a lot of snow last winter, but it was fun shoveling the driveway each time, and good exercise too! 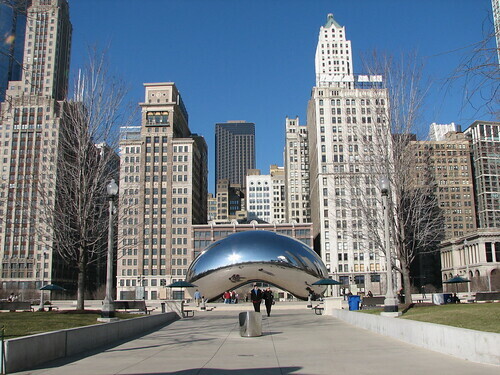 18 February: This day we took the train to Chicago and visited the Shedd Aquarium to see some nice fishes and the Art Institute to see some nice art. 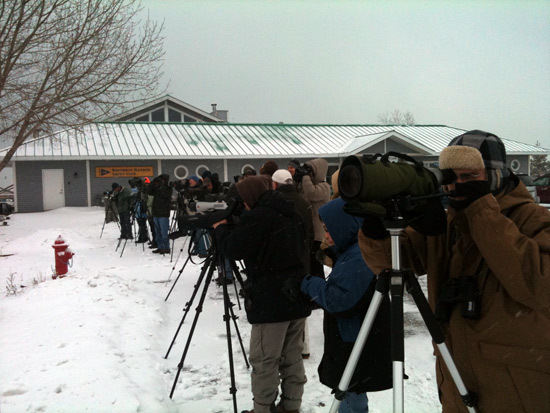 20 February: Every year in February the Illinois Ornithological Society organizes a Gull Frolic at Winthrop Harbor. That’s me on the right in my thick winter coat. 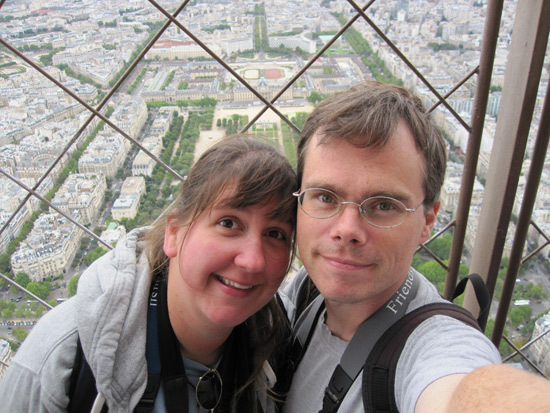 We’ll go there again in two months to freeze our butts off to look at gulls and attend education seminars. 23 February: From January 5th through March 30th Amy did a raptor internship with Flint Creek Wildlife Rehabilitation, which she really enjoyed. 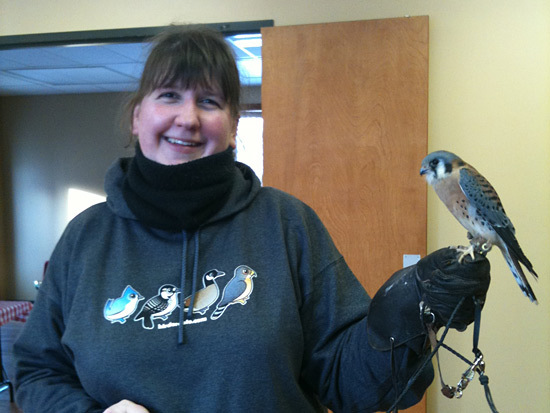 Here she is holding Darwin, an American Kestrel education bird, at her first solo walk with a bird. 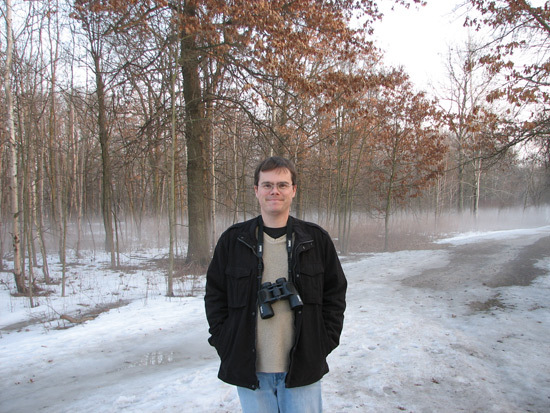 10 March: Here we’re on a walk at Grant Woods Forest Preserve, one of two county forest preserves near our house. I biked to Grant Woods many times this year, which was really great. I’m looking forward to taking my bike out there again when the winter is over. 25 March: For a total of 19 times in the spring and fall this year we went downtown to volunteer for Flint Creek Wildlife Rehabilitation’s Migration Rescue & Recovery. 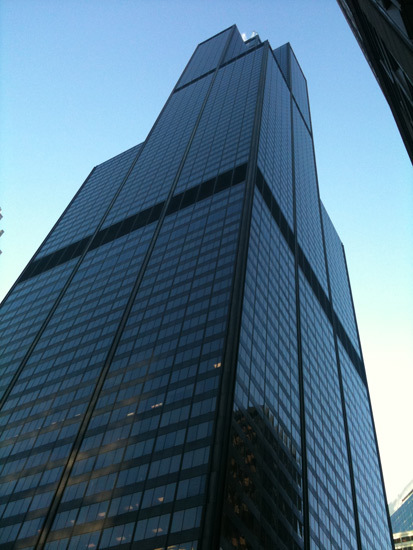 Each morning during the spring and fall migration period, volunteers look for injured fallen birds who have struck the tall buildings in downtown Chicago. Birds rescued by FCWR volunteers are treated at the Northerly Island bird hospital. 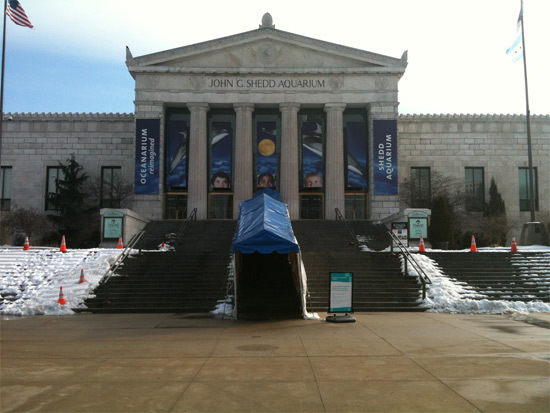 Salvages are brought to the Field Museum. 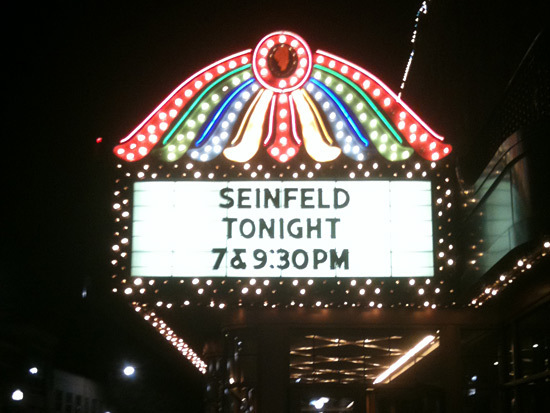 16 April: This day we saw Jerry Seinfeld at the Genesee Theatre in Waukegan. 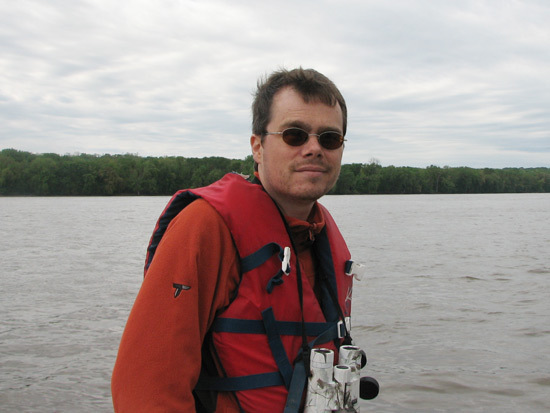 1 May: We attended the spring gathering of our bird club in Nauvoo IL where we did this boat trip on the Mississippi. An Asian Carp jumped in our boat and almost knocked someone out. 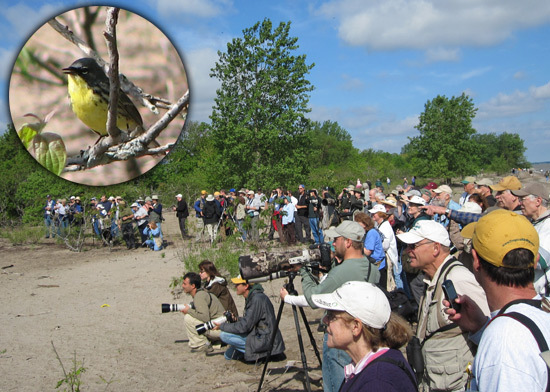 14 May: In May we went to the Biggest Week In American Birding in Ohio. We saw lots of colorful warblers at Magee Marsh and had a great time. One of the highlights was this rare sighting of a Kirtland’s Warbler. 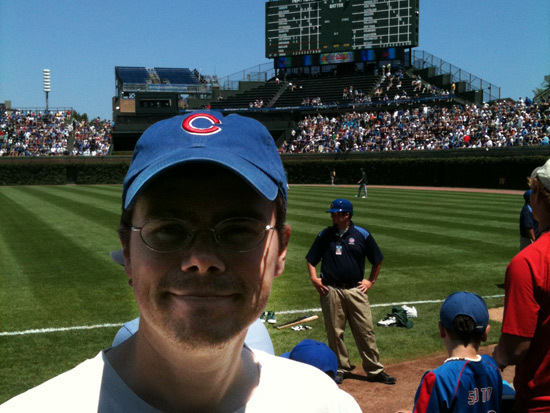 17 June: Amy’s parents took us to Wrigley Field for two Chicago Cubs baseball games. 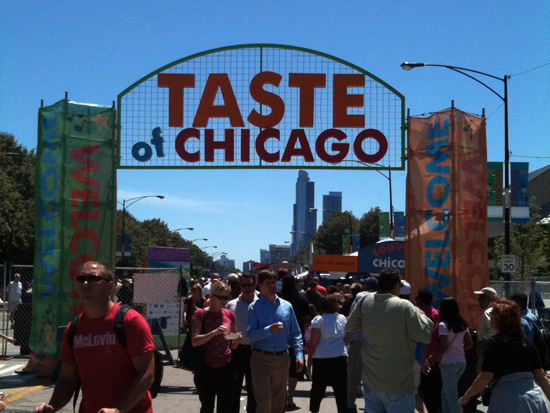 17 July: On one of the hottest days of the year we went to Taste of Chicago. 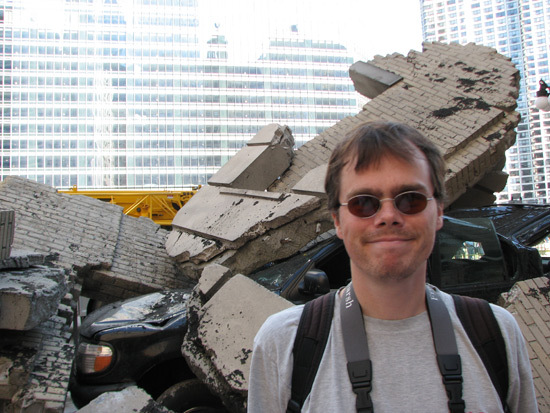 17 July: In July and August Michael Bay was filming Transformers 3 in Chicago. We went downtown twice to look at the action and see some stars. 11 August: From 11 August until 1 September we visited our family in the Netherlands and did lots of fun stuff. 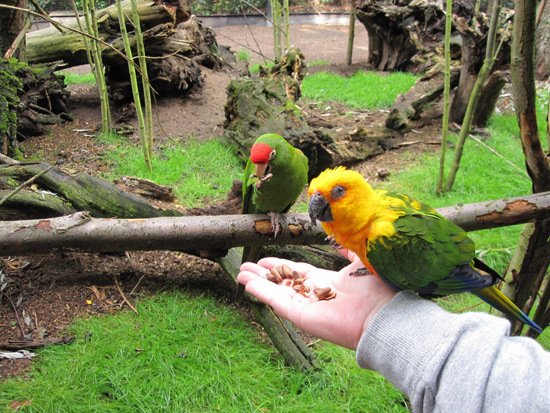 18 August: We visited the Papegaaienpark (parrot park) in Veldhoven, a sort of parrot, bird and animal rescue center and sanctuary near Eindhoven. 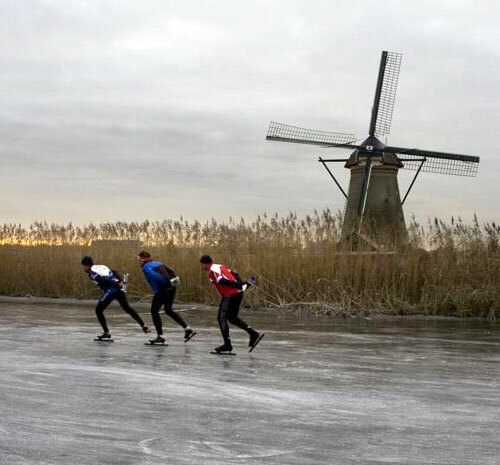 The park took in its first birds in 1987 and is run by the Dutch Foundation for the Refuge and Care of Parrots. 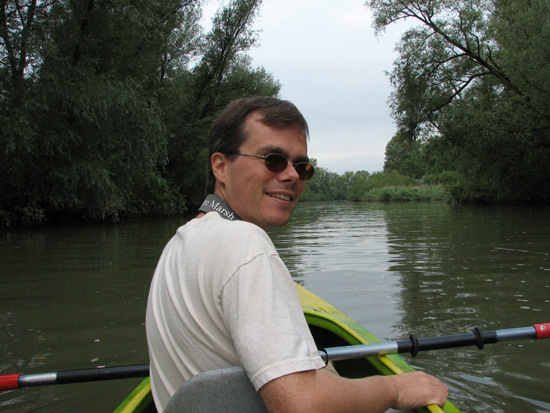 21 August: At Biesbosch National Park in the Netherlands we rented kayaks with my family. A highlight was seeing a European Kingfisher fly low over the water around our kayak. This year we got kayaks for Christmas (thank you Santa! 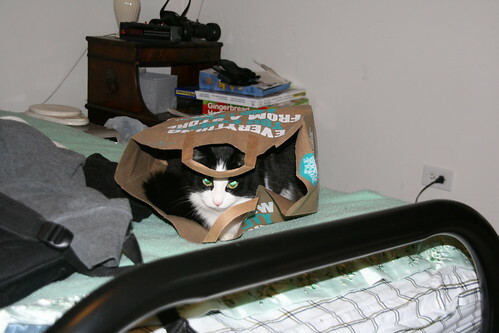 ), so I hope to be doing this a lot more in 2011! 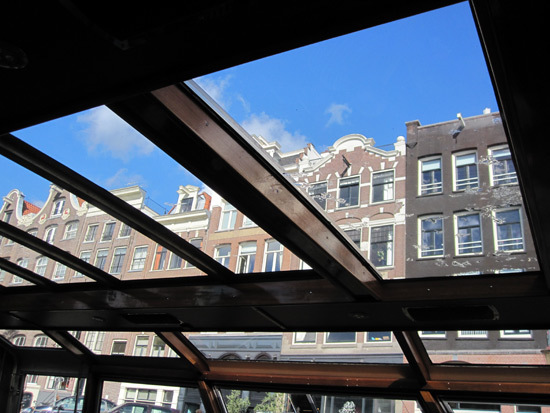 23 August: We took the train to Amsterdam for a day and did a canal tour. 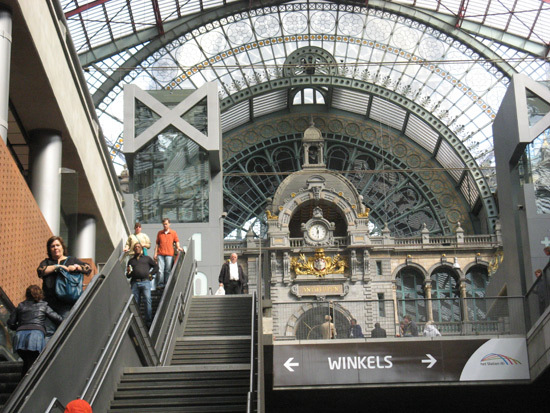 28 August: This day we went to Antwerp and checked out the renewed train station pictured here. 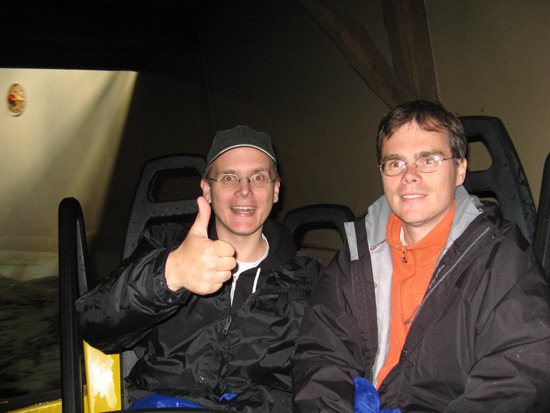 30 August: Toward the end of our vacation in Holland we went to De Efteling amusement park. Here my brother Patrick and I are getting wet in the Piraña river rafting ride. 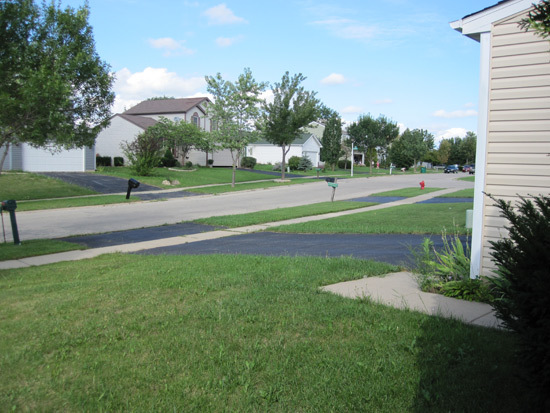 12 September: We did a lot of walking and birding at forest preserves around our area. 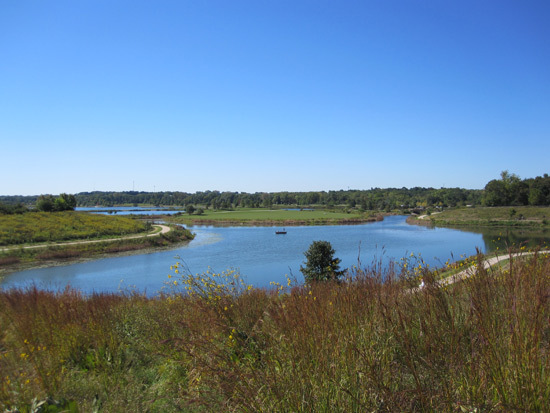 This is Independence Grove, a Lake County Forest Preserve. 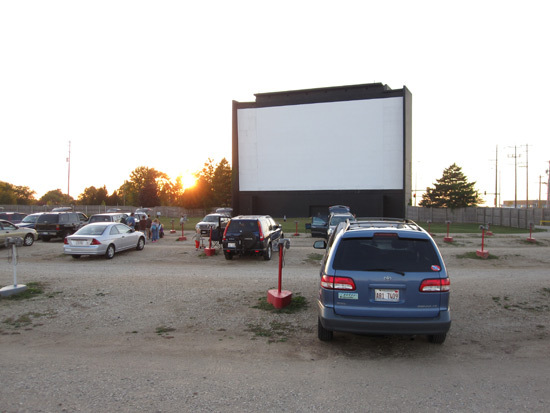 19 September: This day we drove to our nearest drive-in theater and saw The Goonies and Back to the Future on a big screen from our car. 9 October: In October we drove up to the north of Wisconsin for an Evenstad family reunion. 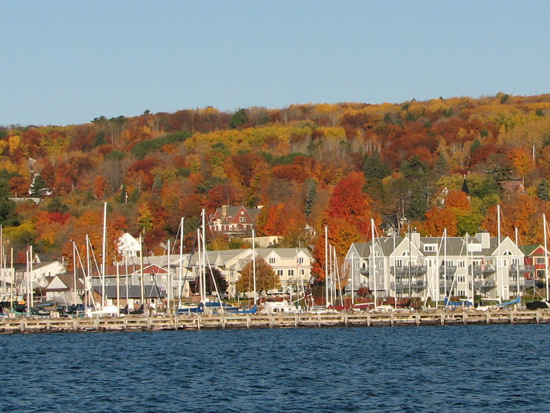 We stayed at the idyllic town of Bayfield. Here we are on a ferry to Madeleine Island with a view of the beautiful fall foliage. 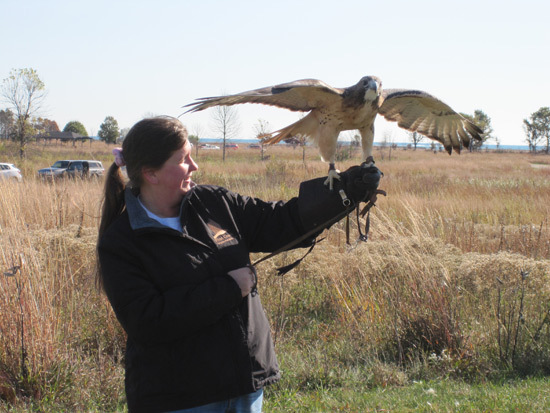 16 October: At the annual open day of the Illinois Beach State Park Hawk Watch Flint Creek was there with education birds and Amy volunteered. Here she’s holding a Red-tailed Hawk named 0511. 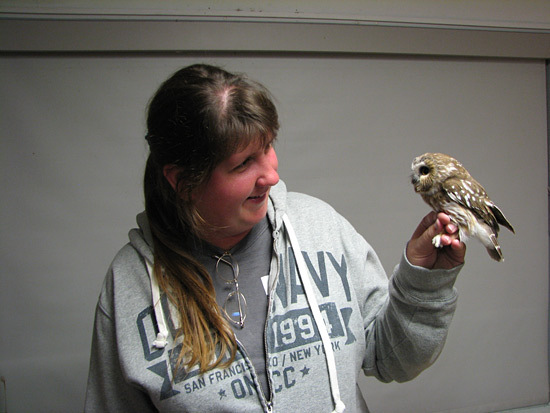 16 October: That same evening we drove to Durand IL to attend Saw-whet Owl Banding at Sand Bluff Bird Observatory. Saw-whet Owls are my favorite bird and it was great to see them catch, band and release three of the owls. 30 October: Flint Creek had an education program at the Wild Bird Center in Fox River Grove. 31 October: We got up early this morning to drive 2 hours west before sunrise to try and see the Whooping Cranes that flew south with Operation Migration. 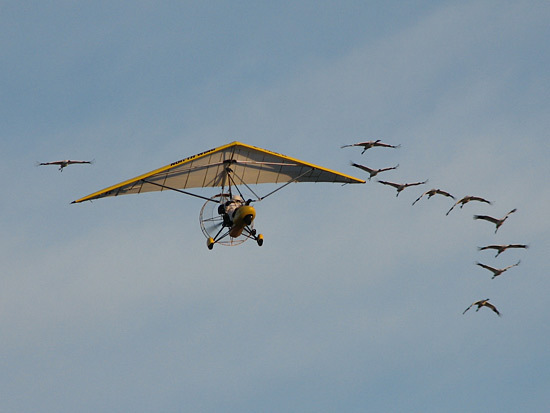 We were extremely lucky and saw 10 of the rare birds fly right over us following the ultralight aircraft. 9 November: This day we drove to Indiana with Amy’s parents to watch Sandhill Cranes at Jasper-Pulaski Fish & Wildlife Area, where they get together in the thousands! 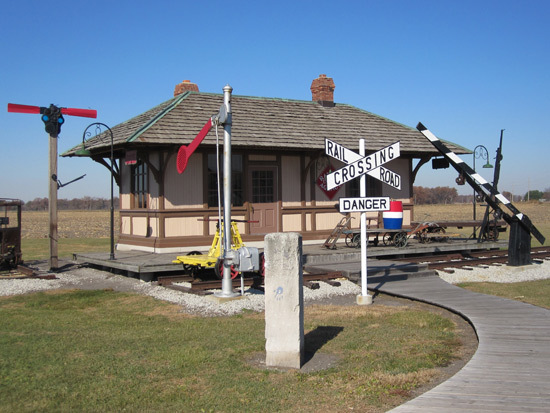 On the way we visited the Monon Train Museum. 13 November: This night we attended an Owl Prowl at Ryerson Woods in Lake County and saw our first Illinois Barred Owl, which is Amy’s favorite bird. 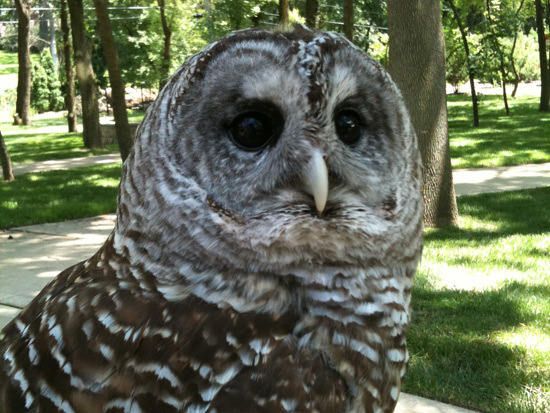 The picture above is that of Meepy, a Barred Owl in FCWR’s education program. 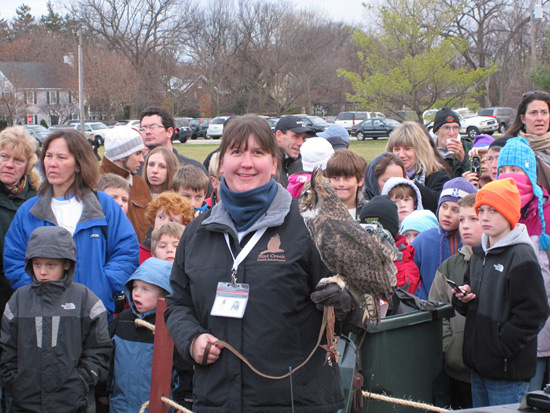 20 November: This day Flint Creek Wildlife Rehabilitation released a rehabilitated Great Horned Owl at a public event in Winnetka. 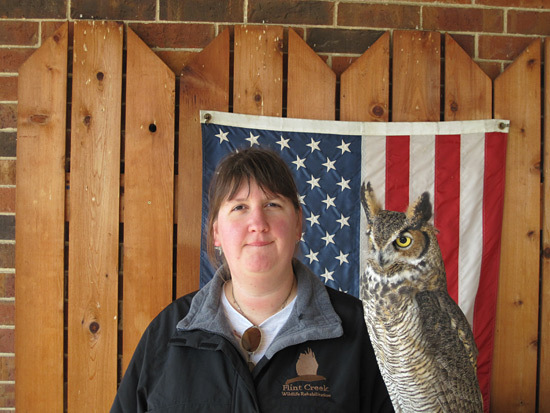 Amy handled Justice, a Great Horned Owl in Flint Creek’s education program. 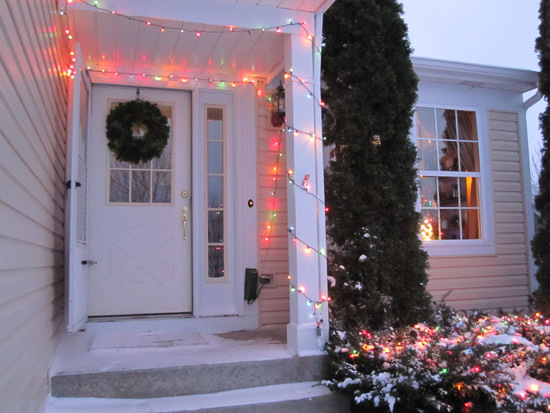 12 December: Our front door decorated with Christmas lights. The Big Picture has a great set of photos from NASA’s final Hubble Servicing Mission. As we speak Space Shuttle Atlantis is leaving the telescope and preparing for a return back to Earth. 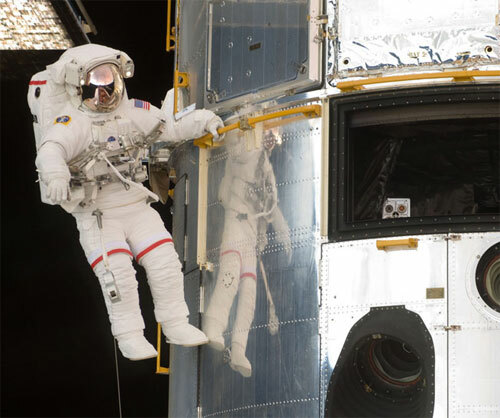 This picture shows astronaut John Grunsfeld holding onto a handrail of the Hubble Telescope a few days ago. 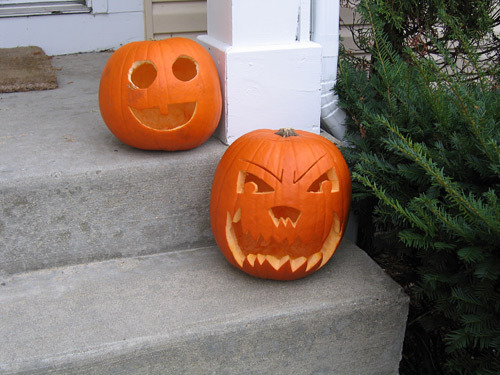 Head on over to The Big Picture to see more awesome pictures. 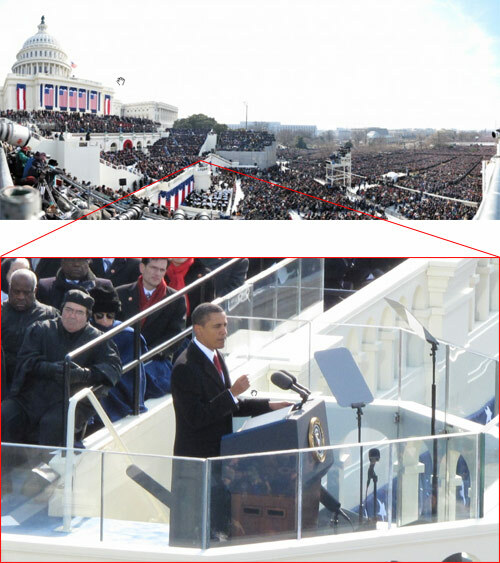 Check out this huge picture of Barack Obama’s inauguration in Washington DC as he gave his speech. It’s a whopping 1,474 megapixels! You can zoom in and see all the faces of the people in the audience. I’ve been trying to find Oprah because I didn’t see her all day while watching the coverage on TV and I was wondering if she was even there. Can you find Oprah? 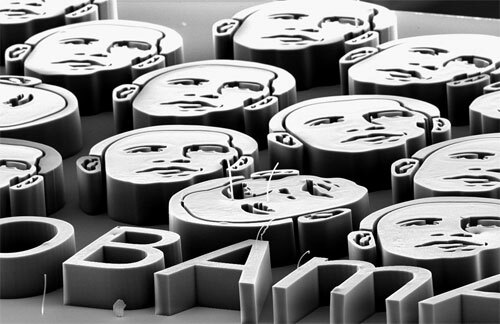 Artists around the globe have been inspired by Barack Obama’s message of hope and change and many have made works of art featuring Obama’s portrait. The most famous one has been the iconic HOPE poster by Shepard Fairey, but many other artists and supporters of the campaign have made more unusual portraits using different materials like butter and beans. Here’s a collection of twenty of these unique portraits featuring the 44th President of the United States. Let’s hope that after tomorrow people continue to be inspired by all the good work that Obama will deliver and continue to make more of these weird portraits to honor the man. Wishing everyone a very merry Christmas! 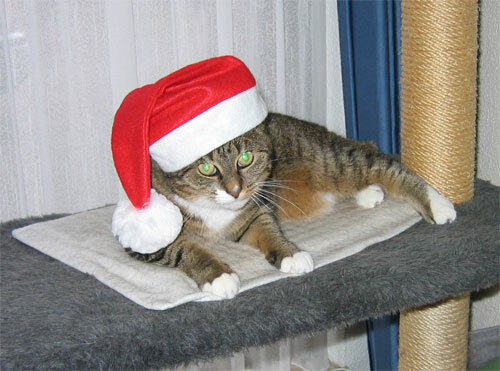 The following picture from December 2004 shows our cat Alex with a Santa hat. Alex died in October this year. The Big Picture has the most incredible photographs of the year up on their website in three parts: 1, 2 and 3. Unfortunately a lot of the 120 pictures of 2008 are about violence, destruction and natural disasters, but there’s a lot of positive ones too. Here are some of my favorites. 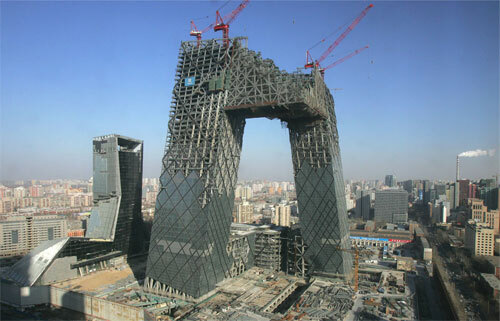 Construction site of the new China Central Television HQ building in Beijing. Check out those large cranes on top of the building! Reminds me a little of the leaning towers in Madrid.